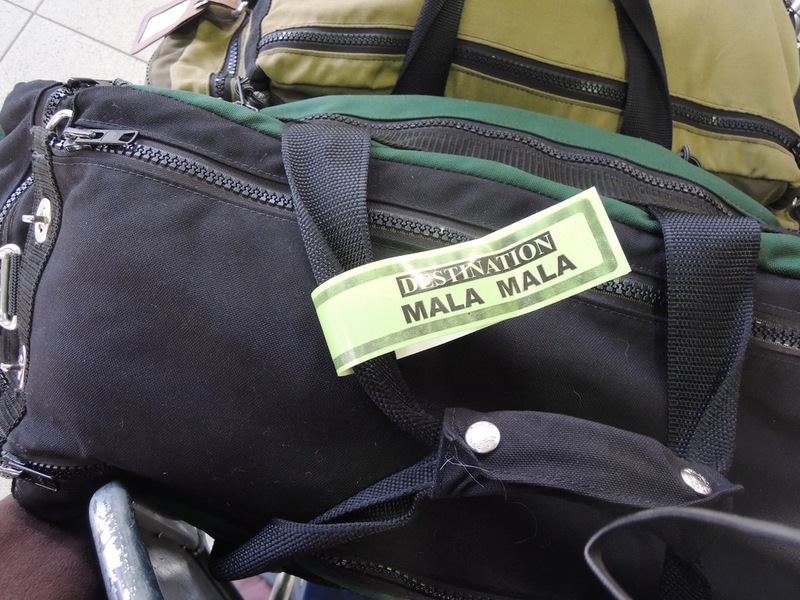 My Safari Beanos bag from www.redoxx.com on its way to Mala Mala in South Africa (www.malamala.com) in 2014. Trip booked with www.travelbeyond.com. Anytime you book a trip, at some point you need to figure out what to put in your suitcase. Packing for a safari in Africa can cause a bit of anxiety because, most likely, you have a weight restriction on the amount you can bring, a restriction on the number of bags you can bring, and a restriction on what type of bag you can use as your suitcase. A good travel agent and good safari lodges will advise you well in advance of these restrictions and provide you with a suggested packing list, which I have always found helpful. So, why write this post? Because, regardless of all of the available advice, I always get questions from those going on safari, what should I pack? And, a bit of experience has helped me to refine what I actually need to pack. As I get ready to to go on my next week-long safari, I thought it would be a good time to put down in writing, what is going in my bag (excluding the camera bag; that will require it's own blog). Ian gave me his list as well; so, both genders should be equally covered here. Number one rule of packing for safari, you never need as much as you think you do. Most likely, where you are staying offers some type of laundry service, often times free, which you can take advantage of on a daily basis. Ladies, be aware that in some locations, they will not wash woman's underwear. So, always bring enough of those. Having laid down the number one rule, I'm sure I'm about to break it and put too much in my bag. Worst case scenario and you don't bring enough of something and the lodge's laundry service just isn't fast enough for you, the lodge usually leaves detergent in your room to wash clothes in your bathroom sink. Ian's very colorful underwear hanging from a line in our room at Savute Camp in Botswana (www.wilderness-safaris.com). Trip booked with www.travelbeyond.com. Do I really need to wear khaki color? Kind of. Usually, safari packing lists suggest khaki colored or green clothing. Whether wearing those colors instead of brighter colors impacts the animals you see on your safari drive (which some say) is debatable (and probably doubtful), but if you wear red or bright colors in the bush, you will be seen for miles. The khaki/green clothes help with the dust, which there is a lot of; all of the dirt and dust is less visible on the khaki/green clothes. Having clothes all in the khaki/green range, also helps with packing. Everything matches! And, it's easy to find these colored clothes that you can wear when not on safari (or maybe you'll be bitten by the safari bug, and will need these clothes for the next safari!). If you hike or climb, then you may want to look for your safari clothes at places like www.patagonia.com or www.ems.com. If you are looking for something you can wear in everyday life, I have had much success at www.anthropologie.com, and Ian has had luck at www.ralphlauren.com. First and possibly most importantly, the bag. Most likely, you will have a requirement that your bag be soft sided (so that it can be squished into a small plane). And, ordinarily, a soft sided bag weighs less, which is helpful if you have a weight restriction on your bag. Ian and I have always used the "safari-beanos" bag from www.redoxx.com. It has made more than ten trips to Africa, and it is still in great condition (and makes for a good weekender bag). The amount I'm packing would not change if I was going on a longer safari (other than the woman's underwear issue). Nor would it vary much if I was also tacking on some days in a city like Cape Town, South Africa. My e-reader. There is a good amount of downtime during the heat of the day on safari to find time to read. And, an e-reader takes up a lot less space and weighs less than hauling a few books with you. Suntan Lotion. You will spend many hours outside. Safari lodges often have a store with a few essentials, but I have not come across suntan lotion out in the bush. So, it's important not to forget this one. Lip Balm. Even the men need this. It can be windy and dry, and as a result, your lips may suffer. A Hat. I don't even like hats, and I bring one with me. Again, there is a lot of time spent outside in the sun. Plus, it is a good way to hide hair that hasn't seen a hairdryer in a few days. A Warmish Jacket. No matter what time of the year I've been in Southern Africa, I've needed a jacket. This is particularly true during the winter months; temperatures can easily go close to or below freezing at night and in the early mornings. I like to bring a fleece; Ian likes to bring a heavy sweater. Comfortable Pants and/or Shorts. 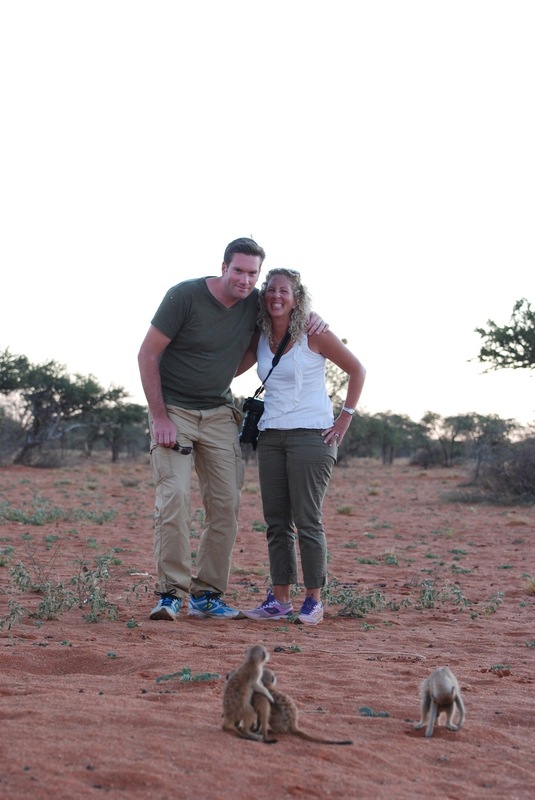 You will want the pants/shorts you wear out on safari to be comfortable because you will be sitting in them for hours. How many shorts versus pants you bring depends upon your preference and the time of year you are going on safari. This time, I am bringing two pair of shorts and five pair of pants. This is mostly because I find wearing pants on safari more comfortable with bigger pockets for my camera gear. Ian is bringing less than me, but will wear shorts more often than I will. Short and Long Sleeved Shirts. If you are going to over pack in any category, this is a good category in which to do it. I find that I change my shirts a few times a day while on safari. This time, I packed eight short sleeved shirts and three long sleeved shirts. Ian packed six short sleeved shirts and two long sleeved shirts. Sweaters. Sweaters are useful for layering and dinners outside. Ian packed two sweaters; I packed three (I probably don't need three sweaters; I just really like sweaters). A Few Nicer Things. If there is time to change before dinner after your evening drive, it's nice to have something other than safari clothes to put on. This category of clothes also comes in handy if you are doing a couple nights in a city like Joburg or Cape Town. I packed four in this category; this is my excessive category. I packed things like maxi skirts and dresses. Ian brings khakis (the nice ones) and jeans. Comfy Clothes. I bring two outfits that fit into this category; Ian brings one. Comfy clothes refers to something you want to hang out in your room and possibly sleep in (it gets cold, and your lodge room may not have heat). Workout Clothes and Workout Plans. This category is not for everyone. But, if working out is part of your routine, you'll want these. It's rare, but you may be staying at a lodge that has a gym of sorts. Usually this is not the case. So, Ian brings a few workouts with us that can be done in our lodge room. Bathing Suit & Cover up. Ian and I both bring one in this category. Socks and Underwear. I didn't want to leave out the obvious. Sandals, Sneakers, Shoes. Ian and I both bring three in this category--sneakers (comfortable shoes you can wear on safari, particularly a walking safari), flip flop type shoes (something to wear around your room and at the pool), and then something nicer. I love a high heal, but they have no business being on safari. My work around is a comfortable mid-rise wedge, like those found at www.toms.com and www.jambu.com. Both also have good options for men. A Journal (and a pen of course). Paper and pen are useful to have around. Some people like to keep track of the animals and birds they see out on safari. Business Cards (or something like them). An easy way to give your contact information to the interesting guests, safari guides, and lodge workers that you meet. Newer PostWhat's in my camera bag (written by Jen).